The very first of 305Forged Flow Tech Series features an asymmetrical split five spoke design with machining around each spoke for a deep, luxury design. With a wider wheel you'll be able to put more power down on the road with the increase in traction. 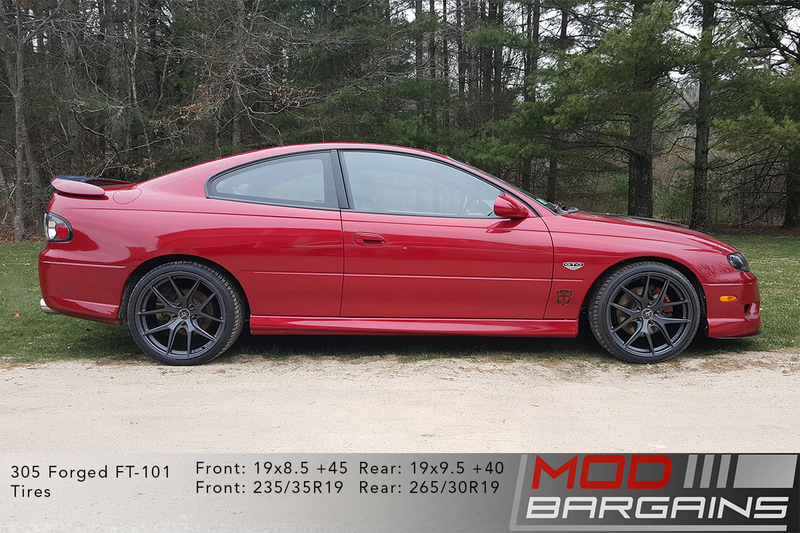 By being able to get your wheels made in custom offsets you are able to get these wheels tailored specifically for your vehicle. 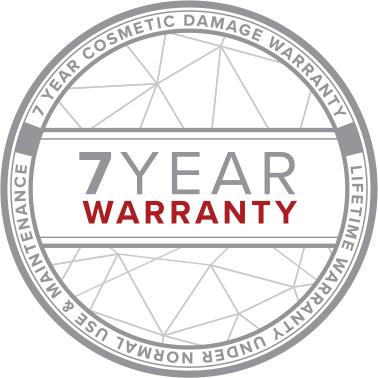 With a 7-year warranty you can guarantee that your wheels have been through extensive testing and quality control to ensure you peace of mind. The FT101 features a split five spoke design that is well-respected in the motorsport industry. With the combination of a timeless spoke design and advanced Flow Forged Technology, the FT101 is the perfect wheel for both street and track use. 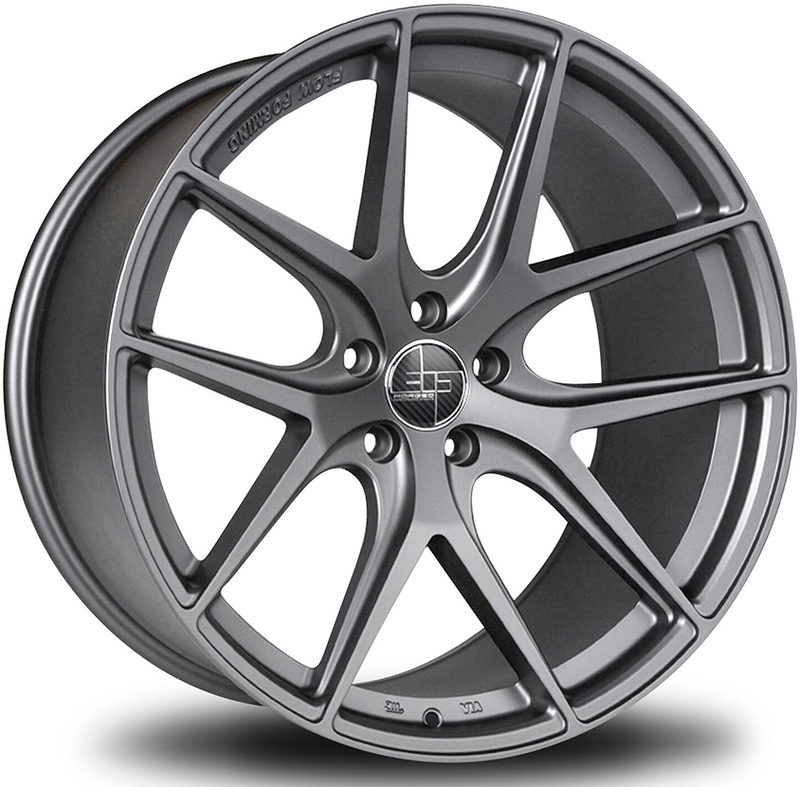 The 305FORGED FT Series utilizes modern manufacturing techniques to shape monoblock designs to a variety of different widths. This cutting edge technique allows for forged-like strength, featherweight performance, and significantly lower lead times. Their state of the art Flow Tech manufacturing method allows them to create multiple widths using one initial mold in comparison to a cast wheel. This tolerance gives them the chance to offer multiple widths, offsets and bolt patterns unlike a conventional cast wheel. 7-Year Warranty: 305 Forged believes in the products they manufacture and are dedicated to providing customers with a product they can use for years to come. Between their extensive testing and quality control, they're confident in the durability, safety and performance of their wheels. Structural Warranty: Each wheel that leaves their facility is backed by a Lifetime Structural Warranty as well as a 7-year Cosmetic Warranty. Their Structural Warranty guarantees a replacement wheel caused by any manufacturing defect under normal and reasonable use with installation by a professional. Their Cosmetic Warranty guarantees refinishing or replacement wheel caused by defects in the workmanship of the wheel including the finish with proper care.